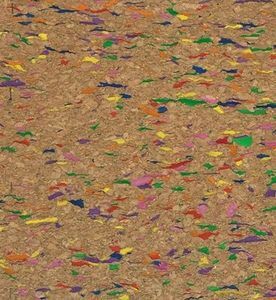 Natural Cork fabric Assorted Colors. Environmentally and ecologically friendly. Similar handle to leather is waterproof and stain resistant. Note: When making strips, for better results, cut the cork fabric in the opposite direction of the cork lines. Approx measurement - 36in x 27in. How to Sew with Cork Fabric. Cork fabric is an excellent material to use in bag-making, whether you are using cork for the entire project, or small pieces for accents and straps. Touch PRO Portugal TP779-1 Natural Cork Fabric, Black w/ Silver Flecks 1yd x 27"